In 1 year, where will I be? In 5, in 10, in 20? Why should it even matter. What do I even want from the future? To start full-time blogging; to write for a magazine; to inspire just one person. Why can't I do this now? Or at least put little steps towards my goal. 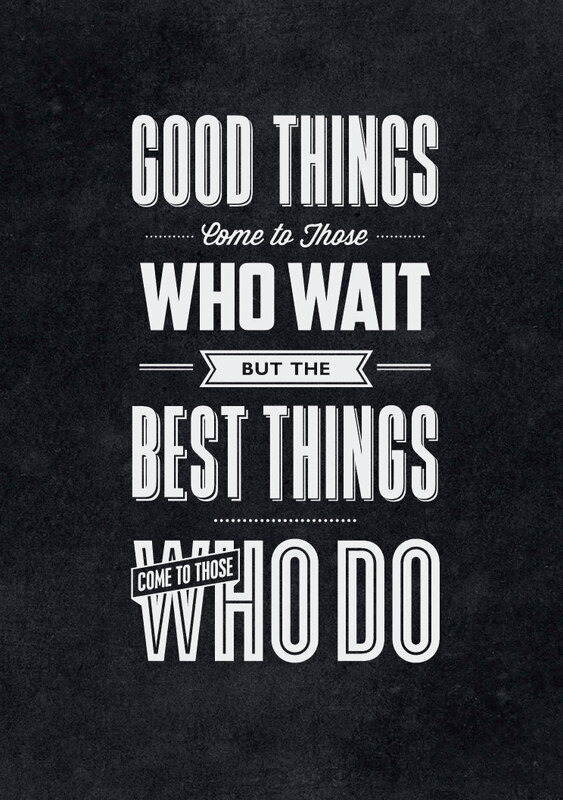 Waiting is good, but doing is better. I fangirl. A lot. Taylor Swift. *breaks into fangirl hysterics* *remembers this is meant to be a serious post and tries to stop. * Rowan Blanchard. Sabrina Carpenter. SO MANY MORE. And mainly Zoella. As a fellow blogger/vlogger she inspires me a lot. She is a genuine person, who does so much with her fans, and her videos are amazing. But... (and this takes a LOT of effort to say), instead of me just sitting there and aspiring to be her, I should actually do something about it. I'm not saying anyone could become the next big vlogger over a night, a week or even a month. However, not trying at all won't get you anywhere! In the world, there are a LOT of things I believe in. Gender equality, for one. Why should a girl be limited to some life choices, and 'labels' from the second she enters the world? Why should her life be different, because she is a female. And have girls even been labelled this? Even though the situation is SO much better, it still isn't right. So many people would say 'Yes, of course both genders should be equal', but they don't do anything to make it happen. You may not be able to make what you believe in happen, but you CAN make a difference. Thanks for reading! What are your thoughts on this, and please do not take offense from anything I've said! I totally agree with all said! These are thoughts that have been roaring in my mind, and honestly, I never actually thought of taking stand to fight for feminism until certain events happened-- thus the reason why I actually wrote a post about feminism and gender equality on my blog! But the future takes up most of my thought process. I'm going into college in a few years and I still have no idea on what to major in. I agree and think everything there is right.